This was a Curate's Egg of a programme. The ‘good in parts’ bits included tracing how un-empathic children can become anti-social adults. Also a useful discussion was started about the tendency of politicians to manifest psychopathic tendencies. The pragmatic and rational aspects of those called ‘psychopaths’ was illuminated by the moral dilemma of when a crying baby should be killed in order to protect a group from certain death. Most of us would be angst-ridden in that terrible scenario, but ‘the psychopath’ would glibly kill the baby out of self-preservation. However, despite the coherence of individual academic contributions, the overall message of the programme was incoherent and offered the viewer certainties that are not warranted. Four US felons (three murderers and a child sexual offender) were interviewed to illustrate ‘the psychopath’. However, not one of them had actually received the label from a professional assessment. If ‘the psychopath’ does indeed exist then why not interview the real thing? This omission was not explained. The 'essential psychopath' narrative in the programme implied homogeneity and a single linear form of causality, even though at times it was admitted that in individual cases there was ambiguity about genetic proneness and brutalised childhoods. Brain slices with their warm and cool areas now are favoured by the mass media, not just professional neuro-reductionists. These were offered to show how the limbic system of ‘psychopaths’ was markedly different. Although the ambiguity about cause and effect was noted, it was not considered a reason to park our confidence in brain-slicing. Really important pre-empirical questions were not addressed in the programme. For example, the notion of ‘psychopathy’, started by Hervey Cleckley and developed since then most extensively by Robert Hare, does not appear in either DSM or ICD categories. Not only does Hare insist psychopathy is a dimension not a category, he selectively weaves a description from features of Anti-Social Personality Disorder, Histrionic Personality Disorder and Narcissistic Personality Disorder. The last of these appears in DSM but not ICD. Surely we needed an academic viewpoint about this conceptual confusion instead of alleged certainties about ‘the psychopath’? The programme was silent on this point. The term ‘psychopath’ refers to people we do not like because they have done really horrible things and do not seem to care. ‘Scientific psychology’ may have something to offer beyond ordinary moral judgments but if it does, then this programme did not persuade. - Reviewed by David Pilgrim, Professor of Health and Social Policy at the University of Liverpool. For a discussion between Uta Frith and one of the contributors to the programme, Essi Viding, click here. Scholarly presentations of psychopathy on television are rare and perhaps it is expecting too much of an hour-long programme to describe and explore all the aspects of the phenomenon. 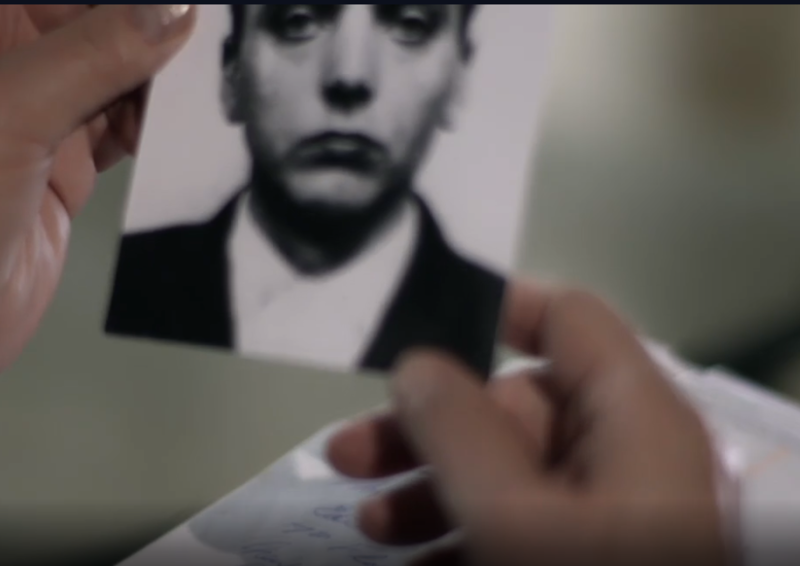 This programme appeared to focus on the cold callous killer presentation, with its lack of empathy rather than the variant characterised by aspects of 'glib superficial charm', 'egocentricity', 'pathological lying', 'manipulative' and 'impulsive'. This is the variant that one is more likely to meet in everyday life. It would have been interesting to learn why what is in the therapeutic tool box is considered so ineffective. It would have been interesting to hear from clinicians rather than academics, and have their thoughts on why current therapeutic approaches are faling. I remember interviewing a patient at Broadmoor who had had social skills training. He said that he had benefitted from it since, before hand, he would not have been able to ask a woman the colour of her knickers, but now he could. His explanation demonstrates, at least to my satisfaction, the thinking difficulties/abnormalities/impairments of the psychopath. (He was relieased, reoffended and on conviction went to prison as "untreatable".) It is a pity the programme did not highlight this aspect, which is fertile ground for cognitive scientists and neuropsychologists. It also raises the problem of insight or the lack of it. How much is the psychopath aware of what he or she is doing? No doubt there is a problem for television to portray these aspects, but I recently saw a play, "The Stepmother", which was a wonderful portrayal of a psychopath. Perhaps also I could recommend the real life of Ignatius Timothy Trebitsch-Lincoln. Fascinating. My own interest when practising was on impulsivity, which has challenges on how the conceptualise it - is it lack of planning or failure to inhibit inappropriate responses, or indeed a combination of the two? How well do we understand the factors that contribute to individual impulsive acts? Another interesting feature of the phenomenon is its apparent strategic nature - it is a complex set of behaviours that achieve a goal. Are these learnt, and if so how, or are they more constitutional in nature? It is interesting to talk with women who have been married to such people. Without ending up dead or even physically assaulted, their experiences can be most bizarre and demoralizing. One would be interested to understand the process by which this programme was produced. Why was Utta Frith chosen as the front person? She is not someone in my working career whom I associated with psychopathy.